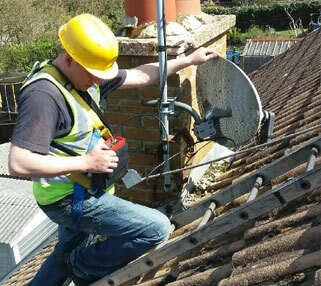 Southern Counties Satellite & Aerials commercial aerial repairs and installation engineers have worked with scores of local firms in Burgess Hill, Brighton, Crawley, Haywards Heath, West Sussex, Hampshire and its surrounding areas, including some of the biggest businesses across Sussex. We are currently being inundated with inquiries and orders from companies wanting to go digital, so don’t get left behind, call us today! We can offer you professional advice, competitive prices and a speedy service.